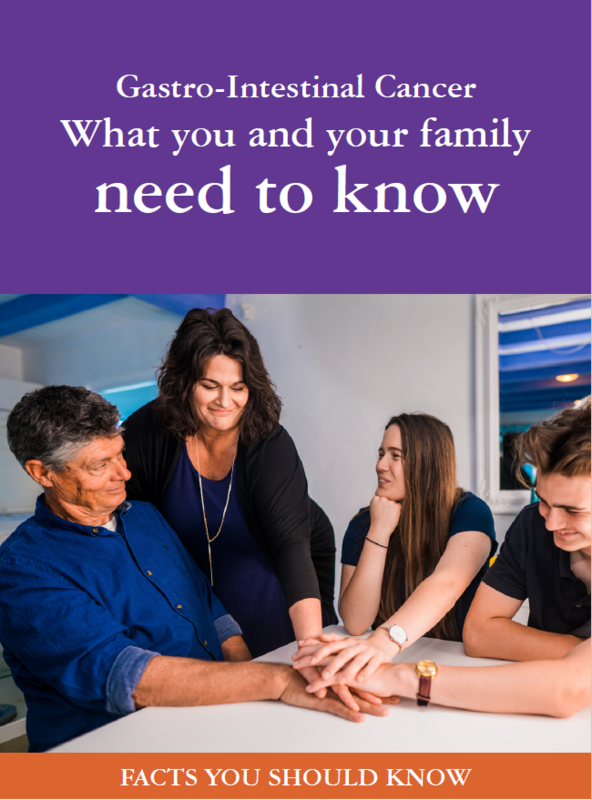 Listed below are a number of resources that may be useful to you if you have been newly diagnosed or are family or a friend of someone who is affected by GI cancer. GP: Visiting your GP is normally the first step when you are concerned about any abnormal health symptoms that you are feeling. In many circumstances they may request some investigative tests. If they feel that you may require more investigations or follow up they will recommend you to see a GI specialist. Remember that many people who are recommended to see specialists do not end up having GI cancer. Specialist: The specialists that you are recommended to see may request a number of further tests to ensure that they fully investigate any areas of concern. They will continue to monitor you if ongoing treatment is required. Cancer Society of New Zealand: Provides a range of support services for people with cancer and their family/caregivers including information on cancer and its effects. Beat Bowel Cancer NZ: This is a nationwide, patient led organisation committed to reducing the impact of bowel cancer on the community through awareness, education and support. Unicorn Foundation: This is a national, patient led organisation committed to helping to educate and support patients suffering from neuroendocrine tumours/carcinomas (NETs) and their families. GI Cancer Institute (Australia): GCF’s counterpart in Australia. This group raises funds for clinical trials research by the not for profit organisation Australasian Gastro-Intestinal Trials Group (AGITG). Engage forum video 2014 This video provides a 2 hour overview of GI cancers, treatment and patient stories. Produced by the GI Cancer Institute (Australia) is uses Australian statistics. Cancer Council Victoria: This site has excellent information on each of the cancer, supportive resources and webinars. Life, Happiness… & Cancer: for the book written by NZ cancer survivor Phil Kerslake. This book offers a range of strategies on how to cope with the cancer journey. It is well acknowledged by the Cancer Society of NZ.